Atlantic Yachting Sail and Power training was borne out of a love for the ocean and a passion for sailing that our two like-minded partners share. They chose the pristine, shimmering waters of the Langebaan lagoon on the West Coast to base their school with the foresight that it is one of the few lagoons in South Africa that has tidal streams, essential when it comes to sail training. Our enthusiastic instructors will ‘show you the ropes’ on one of four L34 mono-hull yachts, or on our 6.5m Infanta rigid inflatable boat (RIB) if you are enrolled in our RYA Powerboat course. Our team of instructors are professional, well-experienced and have been trained to impart their knowledge in a clear, easily comprehensive manner. This is why we have one of the highest exam pass rates in the country. Our offices and training rooms are located at the Club Mykonos private resort where tourists, holiday-makers and casino-lovers fill the restaurants and sidewalk cafés with vibrancy and laughter. You will be welcomed by one of our friendly office staff who will ensure that you are taken care of for the duration of your stay. We encourage you to take to the seas with Atlantic Yachting and we will assure you that it will be an experience that you will never regret. 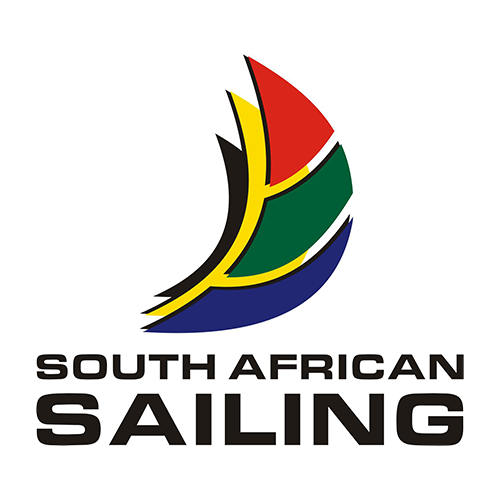 Atlantic Yachting is an RYA accredited sailing school (Royal Yachting Association) and an authorised agency of SAS (South African Sailing). 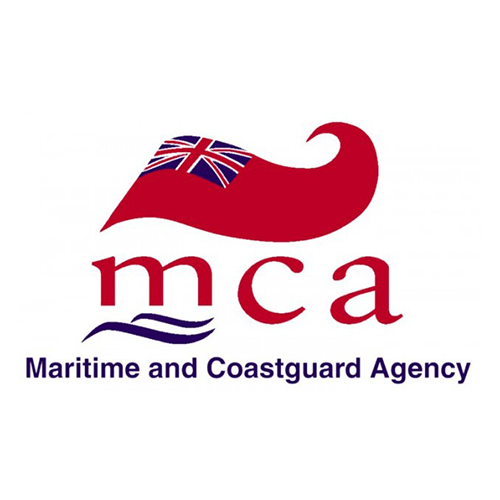 We offer professional sail training for local and international students, with all international certificates accredited by the RYA and endorsed by the MCA, as well as our local certificates accredited by SAS. 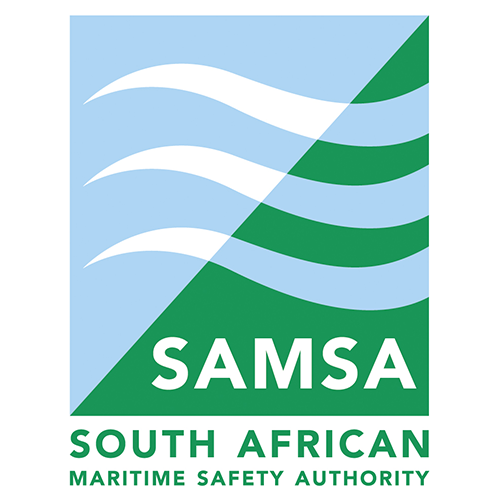 Both the RYA and SAS inspect us annually to ensure that we comply with their stringent standards, as well as with SAMSAs (South African Marine Safety Authority) Code of Practice for sail-training yachts. We therefore guarantee you a first-class training and sailing experience on all our courses that we offer. 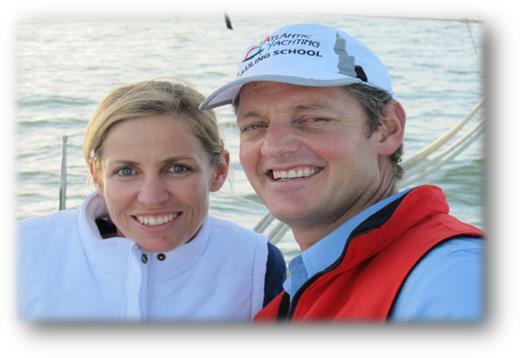 Adrian and his wife Hayley are a remarkable team who have evolved this business into what is an extremely successful sailing school. In 2006 they launched their business from their garage; 12 years later, they can proudly boast of a bustling, reputable school where four pristine yachts sail in and out of the Mykonos marina, filled with eager students and instructors. Adrian is methodical and thorough while Hayley is warm, engaging and gentle. When you arrive at their door, you just know that you are in good, safe hands. They both carry a wealth of experience, both locally and internationally. Adrian has over 12 years of international experience in the mega yacht industry. He has skippered and crewed on both sailing and motor yachts ranging from 47ft to 200ft. He also has extensive teaching experience on the Langebaan Lagoon and the Atlantic Ocean. 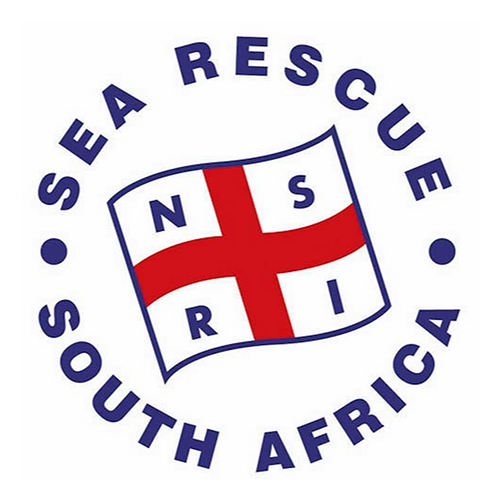 He is an RYA Yacht Master instructor and acts as one of a handful of RYA examiners in South Africa. 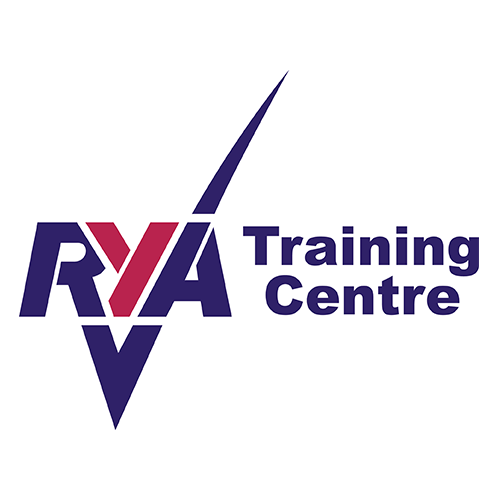 More recently Adrian qualified as an RYA cruising instructor trainer, again one of the select few who were chosen to do this. Adrian’s teaching skills and knowledge are imperative to the smooth operations of the instructors and staff. Hayley has eight years of international experience in the Mega Yacht industry which includes working as a stewardess where she catered for the rich and famous. She has two ocean crossings to her name and is a competent sailor in her own right. 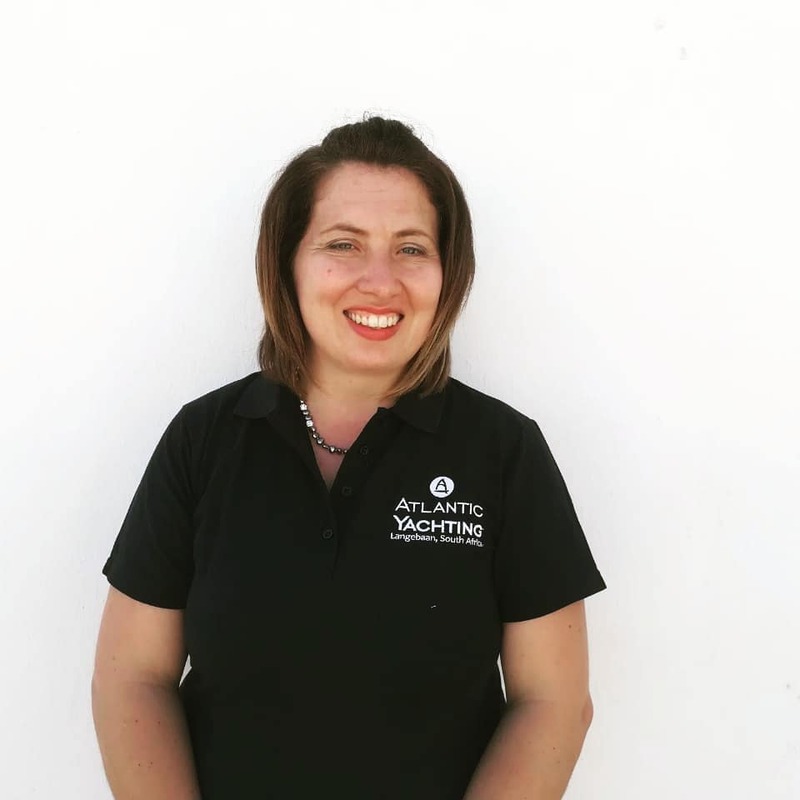 She has spent thirteen years guiding students to make the most suitable sailing course choice and can provide invaluable information for crew wanting to enter the Mega Yacht industry. 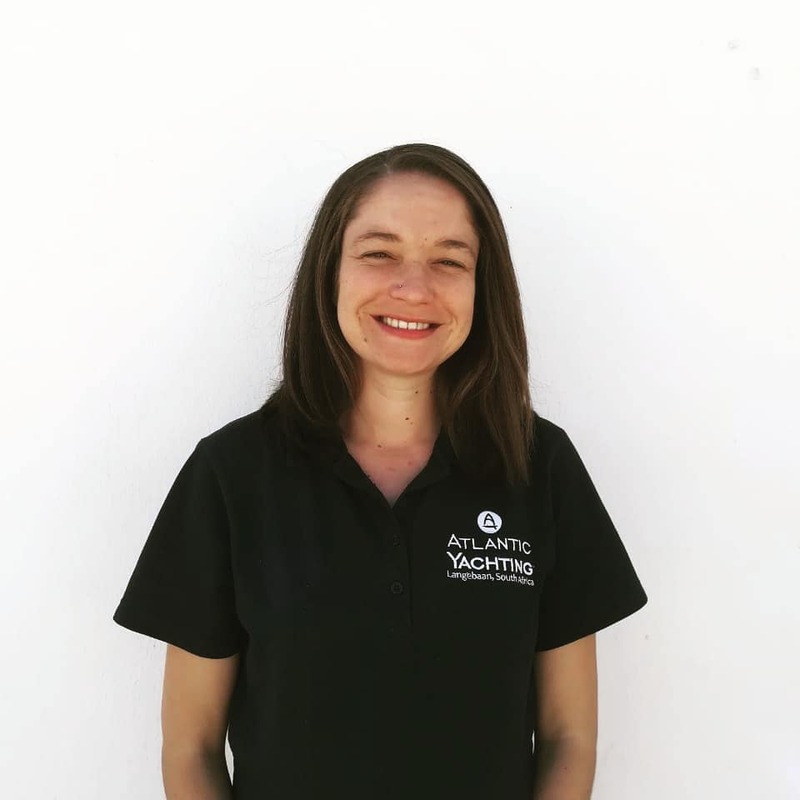 Hayley overlooks the marketing of Atlantic Yachting and is instrumental in managing the team to ensure constant quality of the Atlantic Yachting brand. Juanita was born in Madrid and spent her formative years travelling the world with her family. She settled in the Cape and made a name for herself in the hospitality industry. She was also a chef and owned a few reputable restaurants throughout the Cape. Atlantic Yachting is delighted to have Juanita’s passion and energy that fills the office. She has been part of the team for five years and her ability to make students feel welcome and part of the family is one of her wonderful attributes. Janine hails from the Western Cape and visited the West Coast until the bug bit her. This peaceful, beautiful part of our country is what she now calls home. Janine has an HR background and professes to be a numbers and excel fundi. She is extremely well organised and that’s what we love about her! She loves being part of our team and gets great enjoyment from meeting the new faces that pass through the office. Susan grew up on the West-Rand in Johannesburg. Travelling has been a passion and she studied tourism at the North-West University. In 2014 she completed her PhD in tourism management which focused on international tourist’s image formation regarding South Africa as a tourism destination. She moved to the West Coast in 2017 where Atlantic Yachting crossed her path in 2018. 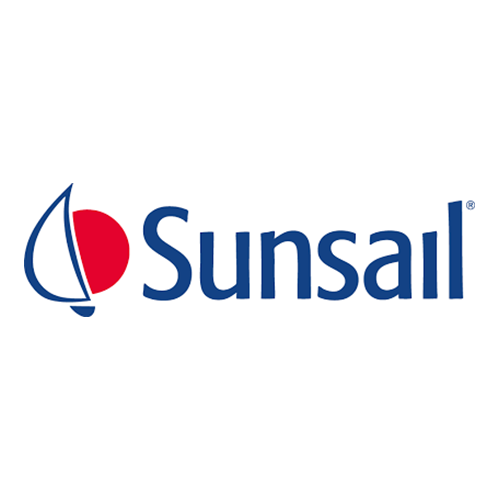 Being part of this great team brings opportunity to broaden her horizons within the yachting industry. Robin tested out a few career opportunities before finally deciding to follow his calling for the ocean. He was a sailing instructor in Durban before moving to the Cape where he completed his Yachtmaster’s certificate at Atlantic Yachting. With this in tow, he travelled abroad to gain experience on international waters and has now returned to Atlantic Yachting where he is welcomed as part of our team. Steele was one of the more fortunate of us to be raised on a yacht since the age of four. He has a deep love for the ocean, stemming from his early exposure to the sea. He has delivered many boats on ocean crossings and he is eager to share his passion and knowledge with his students and colleagues. He is responsible, hard-working and reliable and holds a Yachtmaster ocean course completion certificate to underpin his practical experience at sea. Mike was born and bred in Johannesburg. His formal studies include Aviation electronics and later, Electronics engineering. His love for the sea is what steered him in the direction of becoming a MAUI Scuba instructor and owning his own dive school. He finds just as much joy in windsurfing, and of course sailing. 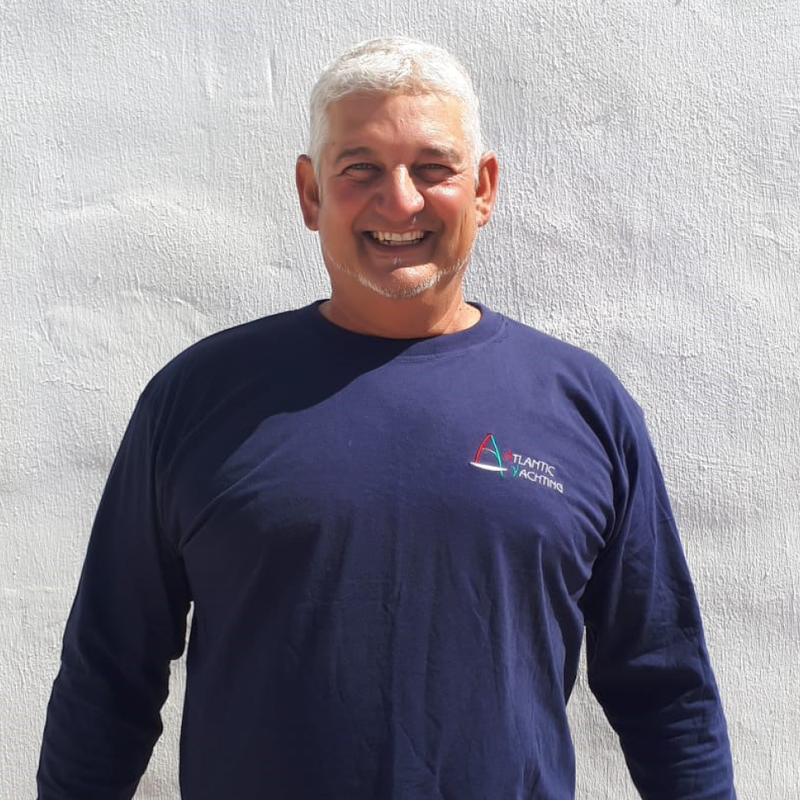 This would account for his qualifications as a South African deep-sea angling powerboat skipper, an RYA day skipper, a SAMSA skipper and an RYA powerboat instructor. He is well-liked amongst his clients and we are grateful to have him on our team. Leslie has thrown in the corporate towel to follow his love for the ocean. 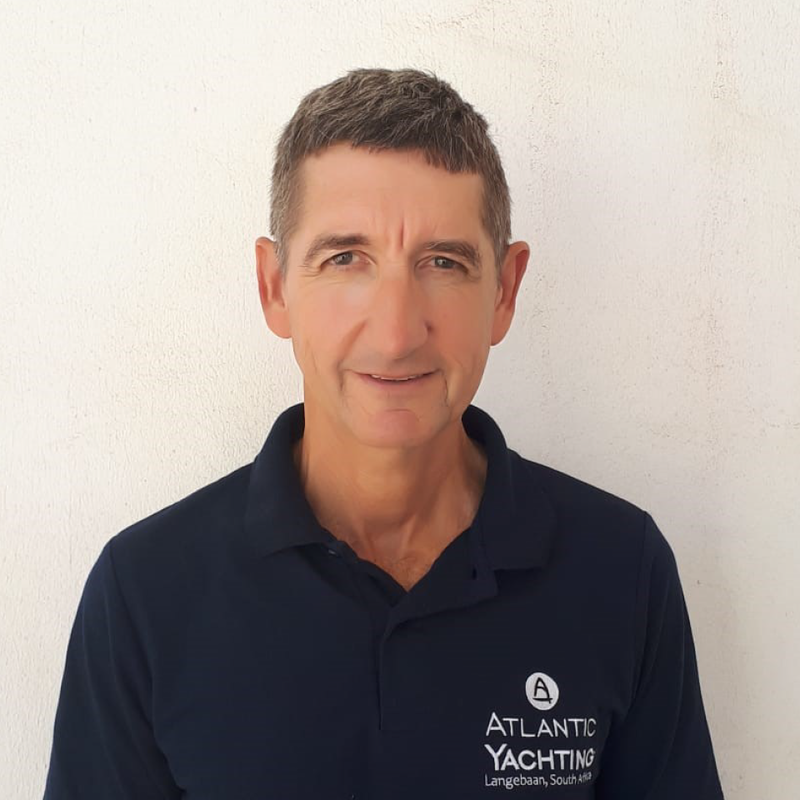 He completed a Competent Crew course with Atlantic Yachting in 2007 and after several yacht deliveries, he returned to us to complete his RYA Yachtmaster’s certificate of competence. Although he is well-versed on our coastal as well as international waters, he is currently focusing on the maintenance of our yachts, ensuring that they are in immaculate condition. 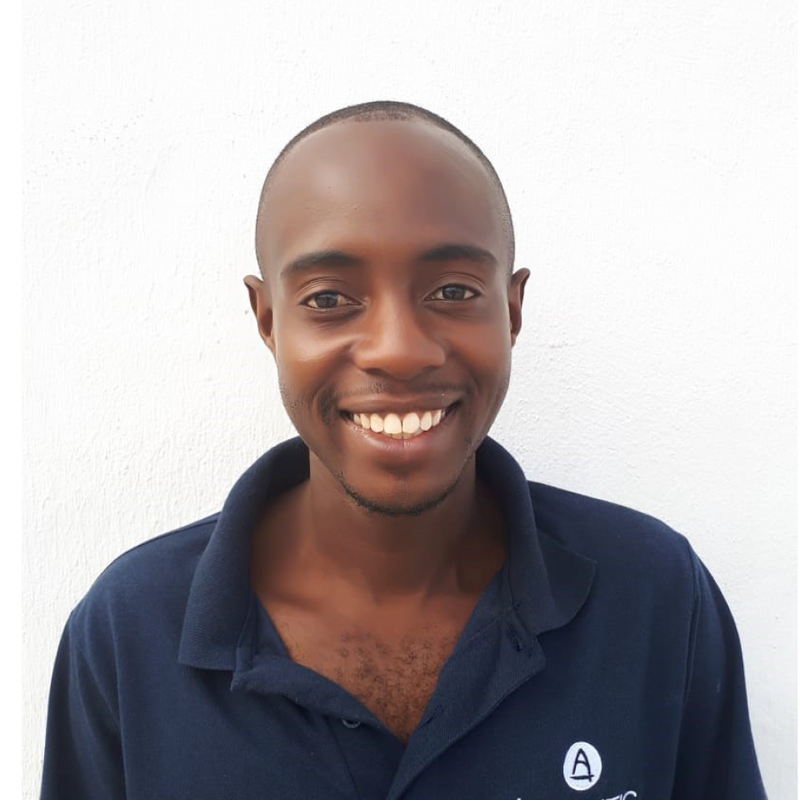 Blesswell is one of the longest-standing staff members at Atlantic Yachting; most students who come through our school are familiar with his friendly face that supports a radiant smile. Blesswell’s hunger to learn and grow is extremely admirable and his loyalty and commitment is just as impressive. He helps to keep our yachts in pristine condition and he is in the process of upskilling himself through in-house training. He is a very prominent part of our team, and we are so grateful to have him on board.